A Londoner’s Lego version of the spectacular Golden Temple of Amritsar has left people on Reddit in awe, to say the least. The replica made using Lego blocks has created a buzz on the Internet. The image was shared by a Reddit user who goes by the handle name Khalsa Forge on the site, after which its popularity quickly soared. So much so that people wanted to know if there was any chance they could lay their hands on it and admire its beauty closely. 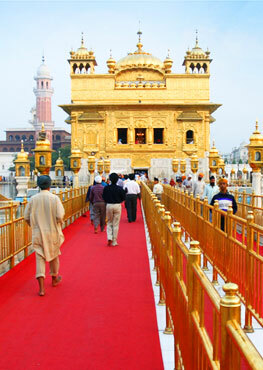 Sri Harmandir Sahib or Darbar Sahib, popularly known as the Golden Temple, is one of the holiest places of worship for Sikhs across the world. 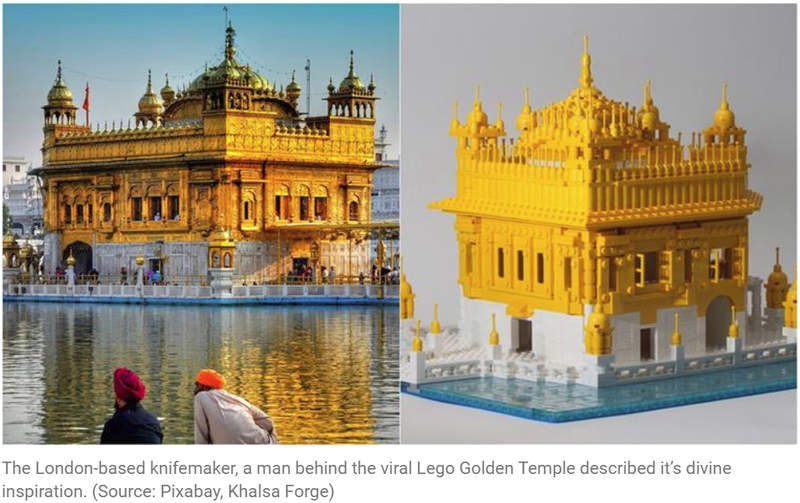 indianexpress.com got in touch with Kam Singh, a London-based knifemaker who recreated the popular shrine using Lego blocks, to know how it all started and what lies ahead for him. “It’s a divine inspiration I guess,” 29-year-old Singh said in an email interview when asked how did he come up with this idea. He stressed on how he had no prior experience of working with Legos, at least not this extensively. Sourcing the pieces from Lego stores around the world, he collaborated with designers all over “to faithfully recreate the design of the Harmandir Sahib (Golden Temple). Lots of back and forth over the smallest details but after many months of design work we finalized our design and created a set of build instructions,” he said. To make the replica look closer to the original, he added 1,200 translucent blue blocks to represent the water surrounding the temple. Parts had to be ordered from several countries that include Netherlands, Germany, Canada and Australia, Singh added. Talking about the difficulties he faced during this self-financed project, Singh said getting all the pieces together was the greatest challenge. “There were some delays, the piece was on hold for several days while I waited for a single window frame to arrive,” he said adding it took only about a week to put things together when he finally got all the pieces. With an intention to make it available for fellow Lego enthusiasts after an overwhelming response, he has started a campaign to raise money and make more similar sets with instructions. Although this model which cost him £400 (Rs 36,200 approximately) is not for sale, he is hoping to sell the affordable sets for around £250 (Rs 22,600 approximately), if he meets his target on the campaign. 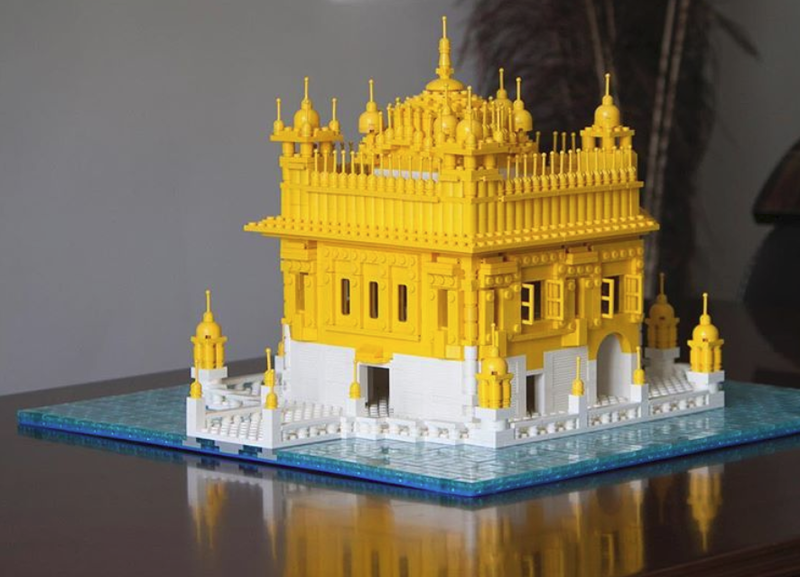 “Unfortunately Lego Ideas does not accept designs of a religious nature, the Golden Temple, of course, being one of the holiest Sikh sites in the world. It also exceeds the 3000 piece limit, this set being over 3200 pieces,” Singh clarified about submitting it to Lego Ideas, an opportunity by the company where enthusiasts can propose new ideas for a model. The 38cm x 38cm model will be available only if he meets the target amount on kickstarter in time and he hopes people will come forward to help him in this venture. What do you think about this Lego Golden Temple? Tell us in comments below.